When choosing a new drinking water fountain for their school many people require a method of filling up reusable sports bottles as well as the traditional bubbler valve. 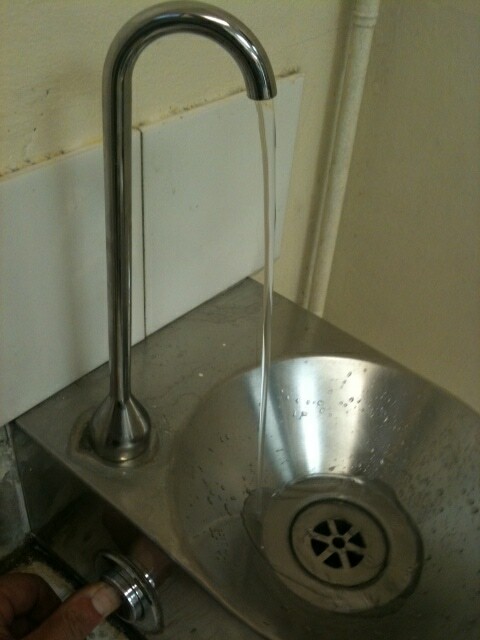 The most common solution to this problem is the black lever tap. This swan neck shaped device can be retrofitted to any fountain and dispenses when the lever is pushed downwards.The problem with these taps is they are easy to break.The levers can snap off quite easily and the swan neck can be unscrewed and removed.Both these issues will leave your fountain pouring out water until it is either switched off or repaired.